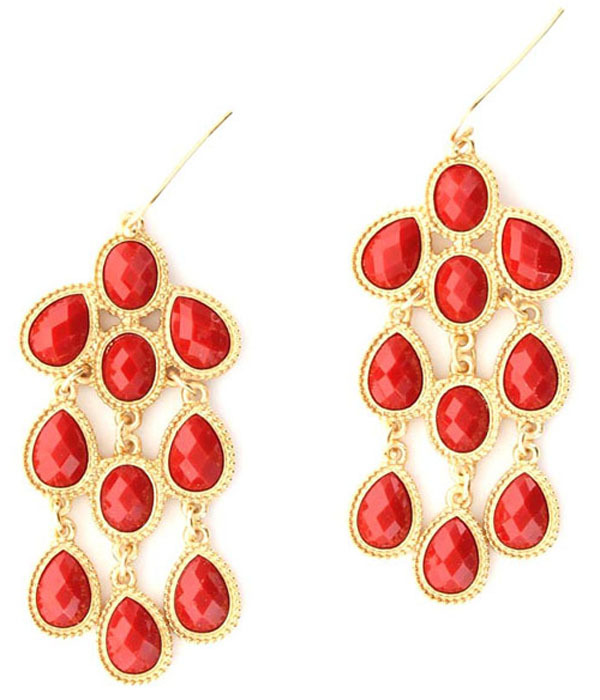 Cascading faceted resin stones in pop red drip in a chandelier arrangement across a cast gold frame on french hooks. The Sissy earrings bring a delicate flutter of vibrant colour to any outfit. Discover one of Australia's largest jewellery shops right here right now!